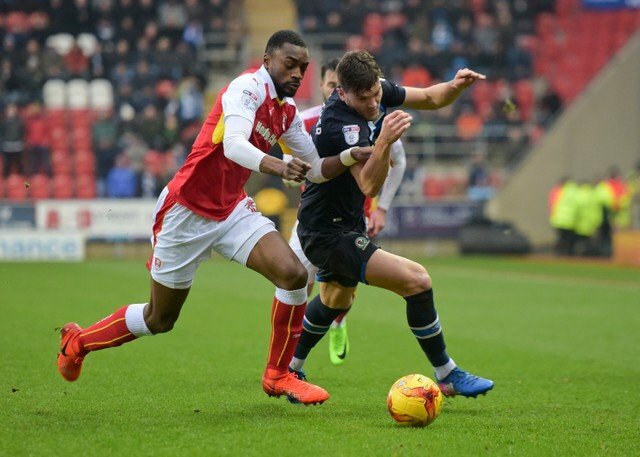 Vital Rotherham United’s Man of the Month for March is Semi Ajayi. Semi joined the Millers in January 2017 originally on loan from Cardiff City and scored his first goal in a Rotherham shirt on Valentines Day at home against Huddersfield Town going on to make seventeen appearances until the end of the season. He signed a permanent deal at the end of March. So far this season in the forty-three games he’s played for the Millers he’s banged the ball in the net eight times while also getting his first full caps for Nigeria. Semi was voted Man of the Match in our game away at QPR, where he scored twice and at home to Norwich City when he also scored. He was also joint Man of the Match against Sheffield United at Bramall Lane. Our home game at the start of the month when Blackburn Rovers were in town saw Clark Robertson get the Man of the Match while he was also one of the joint recipients at Bramall Lane alongside Semi, Michael Ihiekwe, Billy Jones, Joe Mattock and Marek Rodak. The Man of the Match for the away Derby County game, which we all want to forget, was Ryan Williams. Well Done Semi and thanks to all who took the time out to vote! Semi has also been nominated for PFA Championship Player of the Month for March – a month when he has scored five goals. Also nominated are Luke Ayling and Pablo Hernandez of Leeds United, Norwich City’s Emiliano Buendía, John McGinn of Wednesday night’s visitors Aston Villa’s and Sheffield United’s Jack O’Connell.